July 4, 2017 after our family visit to Cambridge American Cemetery and celebration of my brother’s information being complete and correct on his forever gravestone, we caught the train to Ely. It was only a 20 minute ride. Yes, a 20 minute ride. The amazing timely and efficient British rail system. We had experienced the gift of British modeled train travel in India.Honestly, one of many happy memories was an 18 hour train ride from Goa back to Ahmedabad where the trains ran on time and of course I loved the Indian hub-bub. I understand some people might not like that aspect of living in the midst of one billion Indian souls I am not one of them loving every minute. 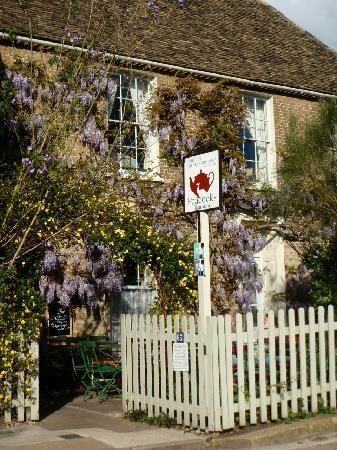 Back to the Peacock Tea Room. 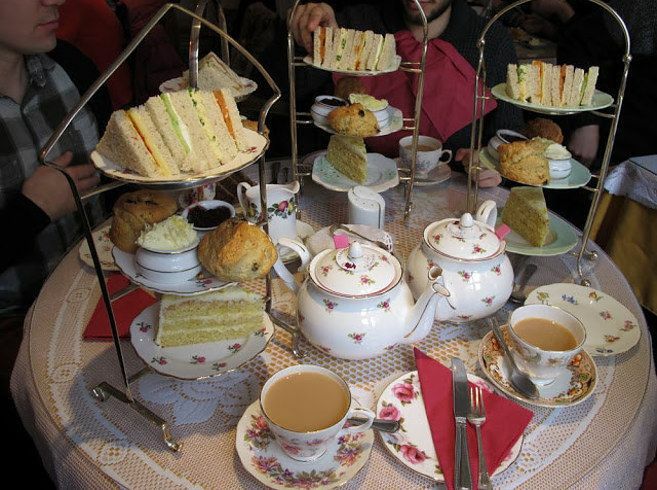 . . . . .It was recommended by Tracey at the cemetery and it turns out, it was an award winning tea room attaining national recognition in the distant past. Here are some pictures. . . . .
Our group was so these large tables would accommodate us. Guests are served with various teacups from the collection. 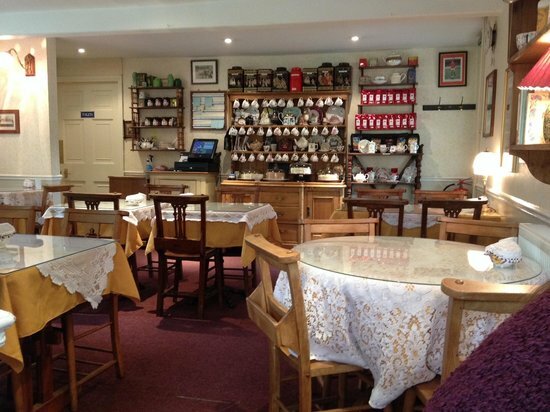 If you are traveling in Britain consider a stop at this elegant traditional tea shop and B&B. We stayed in Cambridge in an Air B&B Victorian Row house because the cemetery was the center of our visit. I have no doubt of the hospitality and gracious service you would received at The Peacock for tea and or an overnight. One cultural warning. . . In the UK butter is spread thinly in sandwiches. My youngest granddaughter Violet took a bite of a ham finger sandwich to discover the butter and you see she is allergenic to all milk products. She was fine after her dad swept her off to the washroom. Next stop the Ely Cathedral. . . . . . 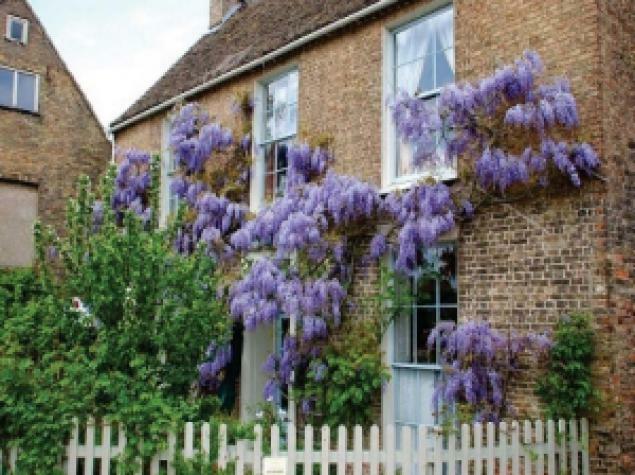 This entry was posted in Cambridge, India, service, The Peacock Tea Room, Travel, Uncategorized and tagged American Cemetery, B&B, blog, Blogger, blogging, Cambridge, ELy, Ely Cathedral, High Tea, Peacock Tea Room, welcome. Bookmark the permalink.